Imagine enlisting thinking you were going off to train for war duties only to die before you left the country. Or having survived the war and the horrible conditions, only to die at the end due to the influenza epidemic. One returned serviceman Ernest Weeks died post-war under mysterious circumstances. Was it suicide? HIghly possible is the conclusion. Sadly loads of soldiers died this way. A couple of the posts dealt with mysteries that needed to be solved:- like who were Jack Russell and Leslie Leister? Keith Ferguson died a POW in Borneo until just before the end of WWII, and while we don't have any specific information about what happened during his captivity, we know a little from other records about what life must have been like for him. The post Postcards to the Front, gives a different perspective on the war. As well as leaving us wanting to know who Ena was, and how she came to be sending Frederick Charles Fisher postcards that he didn't seem to answer; it gives us insight into the types of relationships that may have been formed during the war if we use our imaginations. Did Ena wonder where Frederick was in years to come post-war? Some bloggers like Sandy are concerned about the condition of our nation's family memorials. She writes in The plight of family memorials about her concerns that so many appear to be either neglected or vandalised. A concern she also shares with her article in Stuff Nation. Some bloggers entered more than one post, or wrote about more than one person. Most of them had wonderful photos and copies of documents to share with us. I hope you enjoy reading our bloggers research, and I hope some of their research gives you ideas of where you might search for information for your own. James Gavin d Jul 1916 Fromelles; James Paterson: d Apr 1917 Noreuil; Sydney Pentland: d Nov 1915 Gallipoli; Donald Black Pentland: d Oct 1917 Ypres; Jack Gavin: d Jun 1917 Messines. 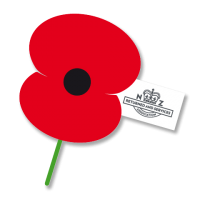 Thanks to everyone who contributed to the 2014 Trans-Tasman Anzac Day Blog Challenge, to those who re-tweeted, Google+ and Facebooked it for us.